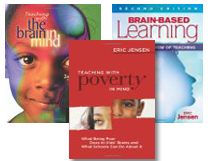 Join Eric Jensen and Jensen Learning for a highly-engaging experience with easy-to-implement teaching strategies. 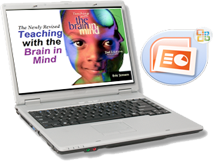 Deliver a Clear and Concise Brain-Based Learning Experience to Your Teaching Staff Using Eric Jensen’s PowerPoint Templates. 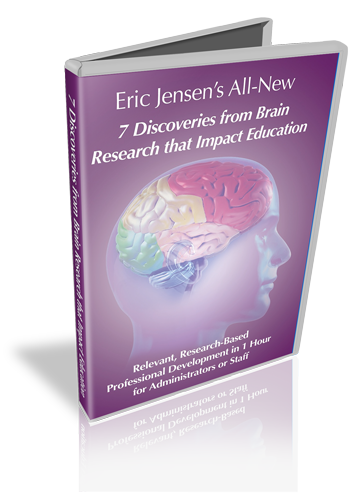 The Complete Library of Brain-Based Learning Books by the #1 Brain-Based Author Eric Jensen. 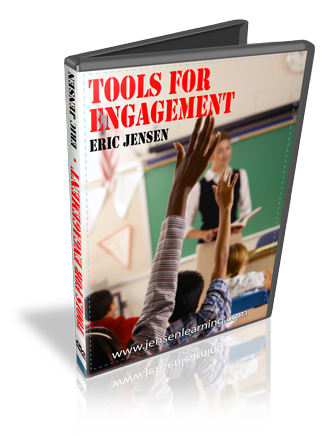 NEW: Get instant access to “Tools for Engagement” Professional Development. Get four (4) powerful staff development presentations, delivered online. You can now soak in the cutting-edge content over and over for maximum learning. NEW: 7 Discoveries from Brain Research that Impact Education. Many have called this the most powerful introduction to brain-based learning. 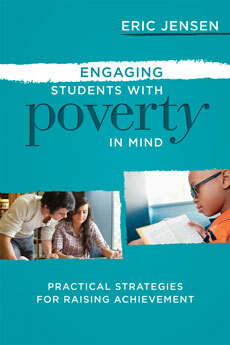 Seven core principles are introduced, each with critical links to student achievement. PLEASE NOTE: Many school web servers have SPAM blockers for emails coming from addresses ending in “.com”. To ensure you receive your valuable FREE Report, please provide a HOME email address (one that does NOT end with an “.edu”.) Thank you! Brain-Based Learning is also the application of a meaningful group of principles that represent our understanding of how our brain works in the context of education. 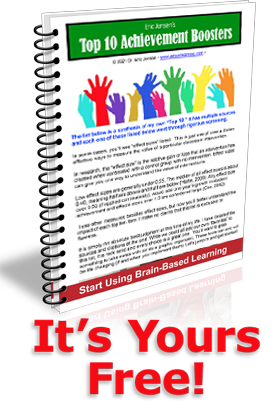 Brain-Based Learning is simply the engagement of strategies based on body/mind/brain research. Other research in related fields such as social neuroscience, psychoimmunology, behavioral genetics, psychobiology, cognitive science, neuroscience and physiology also play a role. What Does a Brain-Based Teacher Do? 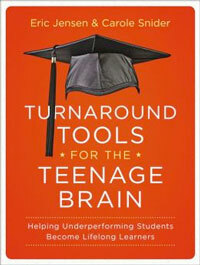 Brain-Based Teaching is not a panacea or magic bullet to solve all of education’s problems. Anyone who represents that to others is misleading them. There is not yet a “one size fits all” brain-based program, model or package for schools to follow. A brain compatible teacher teaches with the brain in mind. This educator understands the principles and uses strategies in a purposeful way. This path is all about an educator who understands the reasoning behind their teaching. It is also one who stays constantly updated through continuous professional development. 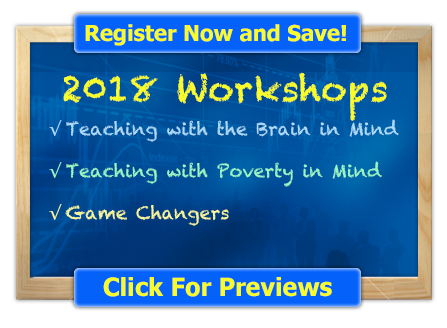 Jensen Learning integrates cutting-edge neuroscience with practical, user-friendly classroom strategies, to overcome challenging teaching environments such as poverty, AD/HD… helping you create a high-performance school environment. Jensen Learning offers teacher workshops and teacher-training programs that help boost student learning and school achievement.